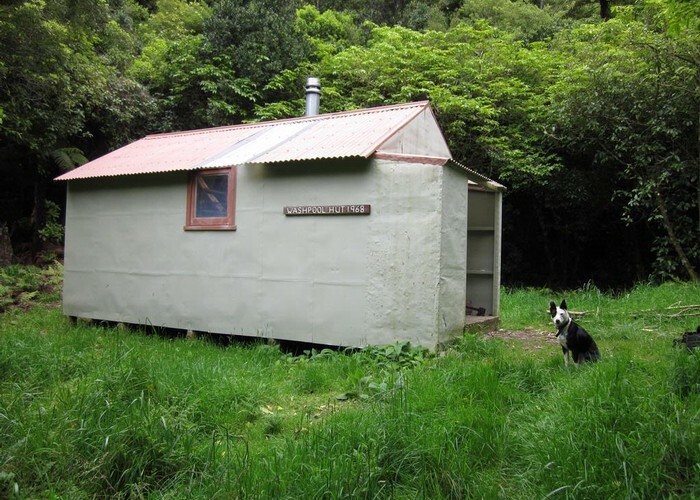 Washpool hut and Gilly the dog . Oct 2012 . Damp and dingy, but a shelter from the storm . Three and a half hours from the Putangirua Pinnacles carpark . Two hours from Pararaki Hut .